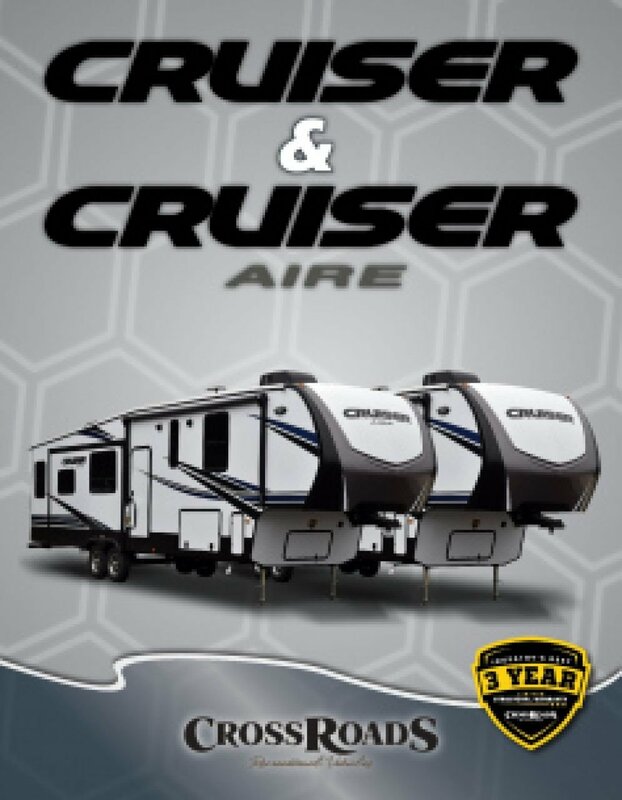 Travel in supreme comfort in the 2018 CrossRoads Cruiser Aire 30MD 5th Wheel! National RV Detroit in Belleville, Michigan is one of the top, full-service RV dealerships in the state and we've been selling top RV brands at wholesale prices since 2008! We have the nation's best price guarantee and no one beats us for service and selection! Whether you're looking for a travel trailer, a motorhome, a 5th wheel, a toy hauler, or a destination trailer, you're sure to find your dream RV at a price that will astound you right here at National RV Detroit! Stop in and see us today! We're conveniently located at 44700 N I 94 Service Dr Belleville Michigan 48111. And with our 24/7 fast, reliable delivery anywhere in North America, it doesn't matter if you live in the Belleville area or across the country. Our personalized phone and internet service means you can pick out your perfect RV online today, save $1000s, and have it at your door in no time! No matter what the temperature is outside, you'll keep the climate inside this 5th Wheel perfectly comfortable, thanks to the efficient 35000 BTU furnace and modern 15000 BTU a/c unit! And at 34' 1" long, 8' 0" wide, and with 4 to maximize the living area, there's plenty of room for the whole family! Impress your friends and family with your cooking skills! The kitchen features a wealth of modern appliances, including the 18.00 cu. ft. refrigerator, a 3 burner range cooktop, and more! With the 60 gallon fresh water tank, you can enjoy clean water all trip long! Why venture into the cold, damp, and often messy communal bathroom? 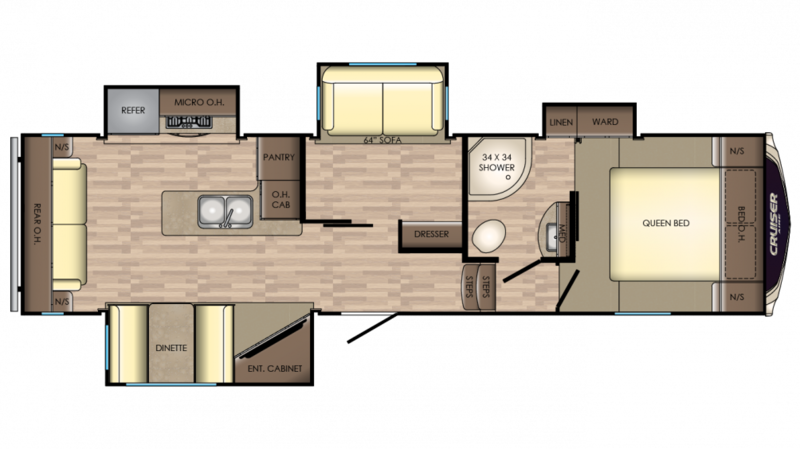 You'll have your own personal shower and Porcelain Foot Flush toilet in the bathroom of this RV! With 60 lbs. of LP tank capacity, you can enjoy hot showers day or night! Dirty water and waste are stored in the 88 gallon gray water tank and the 44 gallon black water tank, so convenient and sanitary!